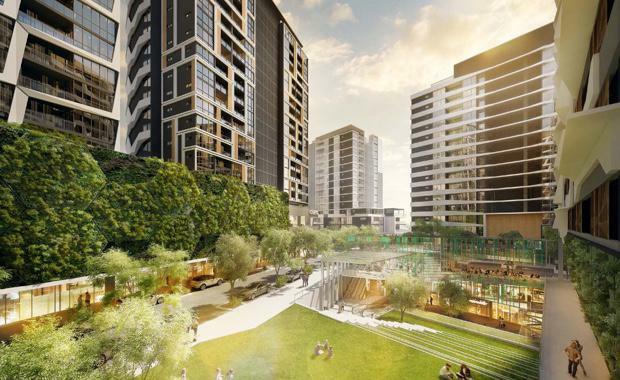 Developers Pellicano and Perri Projects have received masterplan approval for a $600 million redevelopment of a landmark site at Woolloongabba in Brisbane that will ultimately be home to 2,000 residents. The South City Square urban renewal project will include six residential high-rises, one hotel, retail facilities and open space. Pellicano Managing Director Nando Pellicano said Brisbane City Council’s approval of the masterplan confirmed the projects partners vision. “Currently planned to be a seven-year project, we are excited to announce that construction across stage one is already underway with the project’s first residential offering currently slated for completion in April 2017,” he said. On completion the project will include more than 850 apartments, a 144-room hotel, 13,000sq m of retail including a full-line underground supermarket and an eight-screen boutique cinema, along with provisions for a medical centre, health and wellness precinct, childcare centre, central marketplace, cafes, restaurants and landscaped surrounds.